Sequels can be a gamble narratively, critically and financially. For every Godfather Part II and Empire Strikes Back, there’s a Charlie’s Angels: Full Throttle and Iron Man 2. As was the case with Thor 2 earlier this month, the second installment of the Hunger Games franchise, Catching Fire, gets it right and then some. The franchise’s first director Gary Ross has been replaced by music video maker Frances Lawrence who adds even more life to the already heart racing and captivating series. 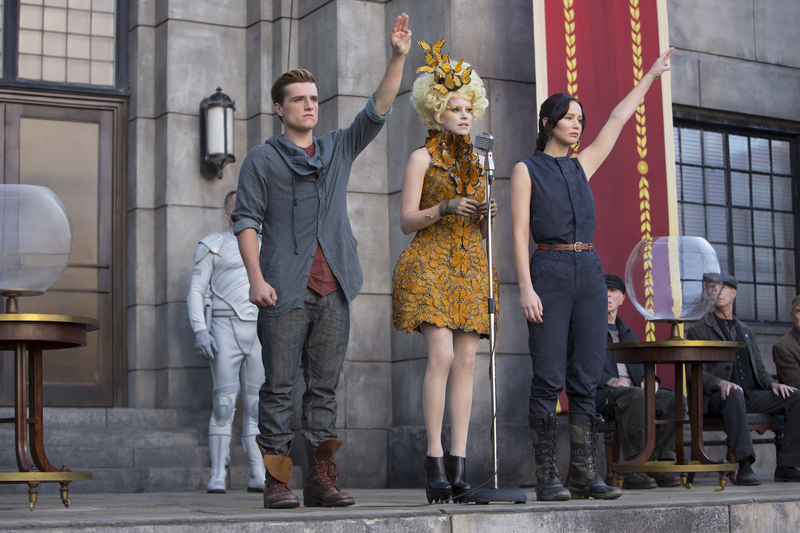 After winning the 74th Hunger Games in the previous feature, Katniss Everdeen (Jennifer Lawrence) and Peeta Mellark (Josh Hutcherson) continue their public relationship and return home to District 12 before embarking on the “victors’ tour” of each district. Still under the radar of President Snow (Donald Sutherland), Katniss forms a new plan for survival along with Peeta, mentor Haymitch (Woody Harrelson), chaperone Effy (Elizabeth Banks) and new fellow victors Finnick (Sam Claflin) and Johanna (Jena Malone). Liam Hemsworth returns as Katniss’ best friend Gale. Lenny Kravitz and Philip Seymour Hoffman also co-star. Catching Fire is an upgrade from last year’s already good action film and portrays the characters as a bit wiser and stronger. The costumes and effects are more lavish and the film’s darker tone reminds viewers this is not a series with happy endings. Lawrence, one of the most sought after actress in cinema, begins her post-Oscar career with confidence and consistency.